ENGLAND – The U.K. Supreme Court struck down the final appeal to allow Alfie Evans to live and receive further treatment, and instead approved plans for his death. The court delivered the crushing blow to Tom Evans and Kate James, Alfie’s parents, on Friday, according to the Mirror. Legal representation for Tom and Kate, which the Christian Legal Centre provided, affirmed they plan to appeal once more to the European Court of Human Rights to issue a stay on the order to remove Alfie from life-support. 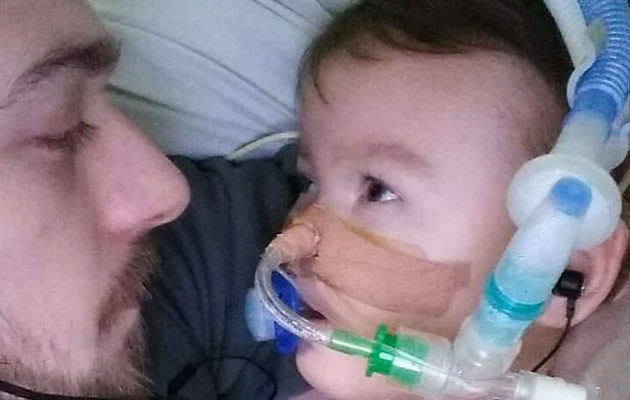 But such an appeal would not delay the court-approved plans to stop Alfie’s assisted breathing, the U.K. Supreme Court said, according to a statement from Alder Hey Hospital where he has been kept. The U.K. High Court, court of appeals, and Supreme Court all ruled in favor of the analysis of Alder Hey staff during Tom and Kate’s months-long legal battle for Alfie, saying it was in Alfie’s best interests to allow him to die and end all attempts to save his life. Tom and Kate fought the rulings tooth and nail and filed one appeal after another to allow them to seek treatment for Alfie in the Vatican’s Bambino Gesu Pediatric Hospital, which had offered to treat Alfie. Tom even flew to Rome on April 17 and met with Pope Francis the following day to plead for the pontiff to save his son’s life by granting him asylum. Crowds of supporters also besieged Alder Hey Hospital to demonstrate and protest on Alfie’s behalf. The protests at the hospital lasted for five days, until Tom and Kate asked supporters to disperse. The protesters were disturbing other patients and intimidating hospital staff, the hospital said. Alfie suffers from an unknown neurological degenerative condition reducing him to what the hospital called a “semi-vegetable state.” The condition has eaten away at his brain matter. Alfie’s cognitive abilities were actually improving after months of treatment, Alfie’s parents and their legal representation argued. The hospital, however, attributed the child’s movements and seeming responses to seizures. 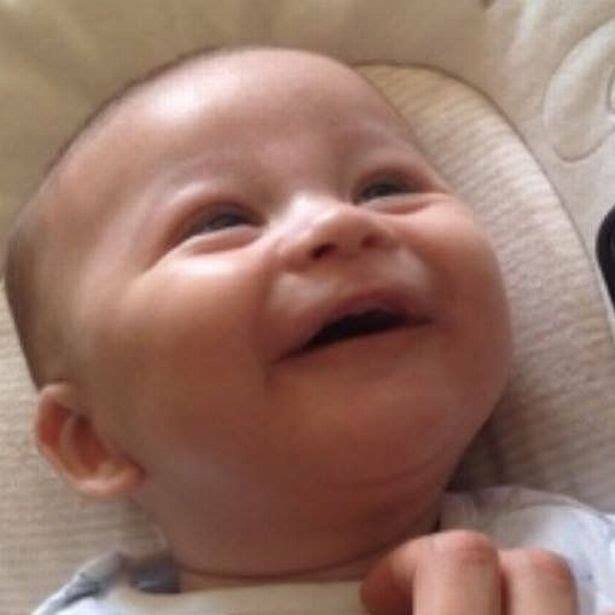 Were the Bambino Gesu staff to treat Alfie, they would have given him a tracheotomy and fed him through his stomach in order to make him more comfortable. However, even the Vatican hospital agreed no curative or preventative treatment could be administered to Alfie, U.K. judges argued. The court refused to release details about the approved plans for Alfie’s eventual death, citing Alfie’s privacy. 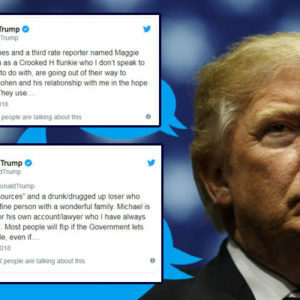 Trump Blasts New York Times on Twitter for "Third Rate Reporting, Non-existent Sources, Making Up Stories"